A big THANK YOU to everyone for supporting this giveaway contest. The lucky winner, by random selection, is …..
A big Congratulations to you, Almondjelly. 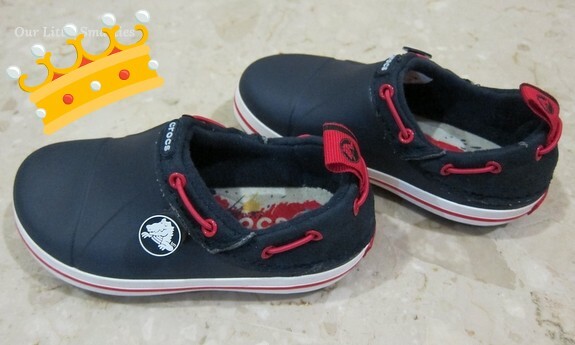 I sincerely hope that your boy will like this pair of Crocs. Please acknowledge receipt of your winning item by dropping a comment in this post, and send me an e-mail with your home address. I’ll send the shoes to you via courier. For the rest of my readers, thanks again for participating. There will be more giveaways in the future, so please “Like” my Facebook Page if you want to receive updates from my blog.